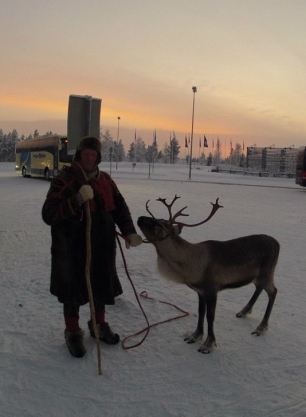 When visiting me in Lapland, I want to make your journey as simple and convenient as possible. There are more departures than ever before and you can now fly direct from 19 local airports. After a flight time of around four hours, you will land into Ivalo Airport, in the North of Finland. It gets so cold in this part of the world, that the airport has a long heated landing strip and the small terminal surrounded by snow. Make sure to wear sensible footwear and have a coat with you. The magic begins right away with one of my furry reindeer waiting to greet you at the airport. 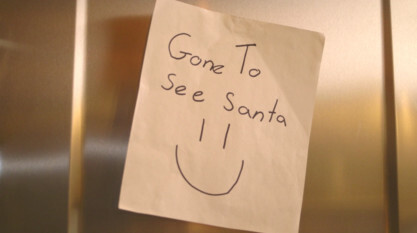 Watch out for those cheeky Elves who sometime pay a visit as well! My friendly and knowledgeable Lapland Rangers will also be there to greet you and point you in the right direction for your transfer to Saariselka, just 30 kilometres away. The short journey is around 25 minutes on a coach and the excitement builds as you approach the resort with your fellow guests. This also gives you a perfect opportunity to spot the local wildlife and appreciate the beauty of the snow covered fields and forests along the way. 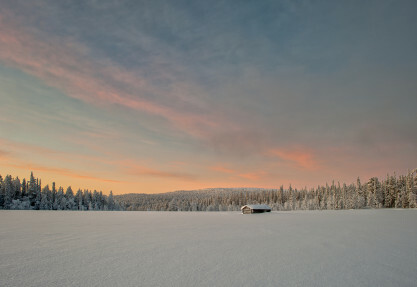 Once you arrive into Saariselkä you will stop to collect your thermal clothing. You will then be taken right to the door of your Hotel where one of Santa’s Hotel Representatives will greet you and direct you to your accommodation. If you are staying in one of my Christmas Cabins the coach will take you as far down the road as possible leaving a very short walk to your cosy log cabin and your welcoming Cabin host. They’ll be ready to greet you with warm drinks and yummy cake! If you have any questions, please give one of my helpers a call on 01483 791 945.